Still preparing for Halloween? Then, our freebie for today might just give you an awesome idea for your last minute Halloween designs. 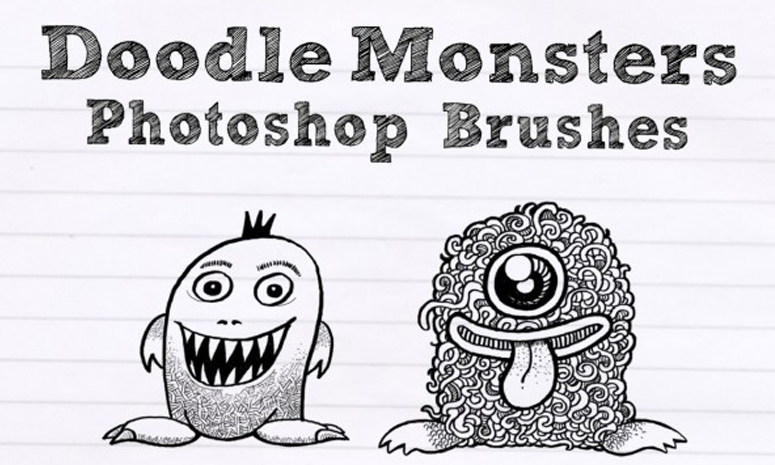 Today we give you another amazing set of doodle brushes featuring ten creepy but adorable little monsters to add some fun for this scary season. This set of Photoshop brushes is perfect for decorating your Halloween posters, greeting cards, flyers, etc. These little characters are not just good for Halloween but they can also be nice companions in your other future design projects. Download this amazing set of brushes. Just click the button below.